WAYMOUTH, MA. (THECOUNT) — A Massachusetts police department is mourning the loss of one of its own after a Weymouth police officer and a bystander were shot to death Sunday during a foot chase with a suspect following a car crash. The Weymouth officer, 42-year-old Michael Chesna, was taken to a nearby hospital, where he was pronounced dead from his injuries. The suspect, identified as Emanuel Lopes, 20, (pictured here,) struck Officer Chesna in the head with a large stone before stealing the his gun and shooting him several times, according to local reports. The suspect had been driving erratically as officers tried to pull him over, according to neighbors. The gunman crashed into another car, fled on foot and then shot the officer. 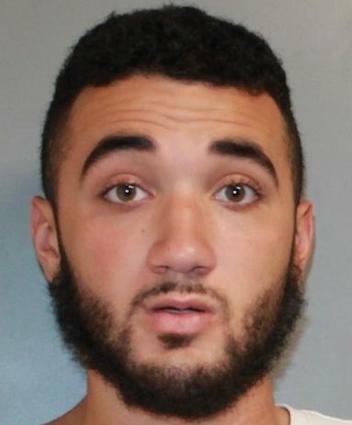 In 2017, a then 19-year-old Lopes, described by authorities at the time as a “homeless man,” was caught selling cocaine to minors in North Weymouth, He bolted from officers who attempted to search him, police said. Lopes was later arrested and charged with possession to distribute cocaine to a minor, possession to distribute cocaine and resisting arrest.